May is an excellent time to plant. Spruce up with flowering plants and trees from Exleys! 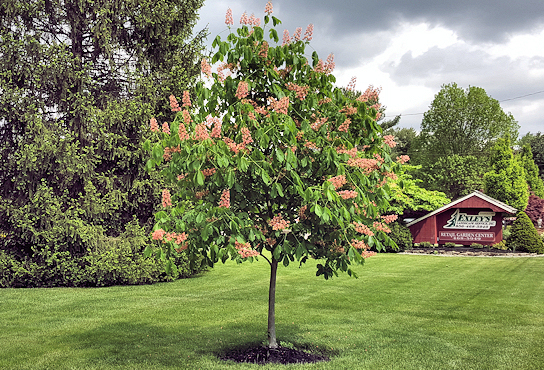 30% off Red Flowering Horsechestnut Trees! 20% off Pink Flowering Weeping Cherry! The Red Flowering Horsechestnut is a rounded dense shade tree. Dark, rosy-red 10″ flower panicles bloom late spring to early summer. Prefers deep, well drained soils but considered widely adaptable to soil types. Our Garden Center is fully stocked. Come pick and tag your trees now while supplies last.